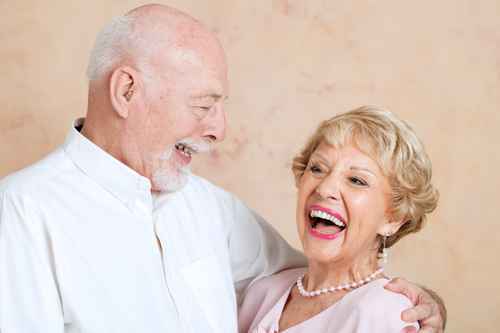 The transition to dentures can be both an exciting and unnerving time in your life. First of all, your lifestyle is going to improve immeasurably: you’ll be able to eat, talk, swallow and smile in a whole new way. Implant patients also report a dramatic rise in their self-esteem and confidence, as their new smiles radiate from well below the surface. But new dentures can also be scary. Will they hurt? How long does it take? What if my dentures wiggle around in my mouth or – mercy! – what if they fall out? While upper dentures have the ability to create suction through the roof of your mouth, thereby holding the denture in place, the same isn’t true for lower dentures. Lowers will invariably wiggle around, shift, cause sores, and live out their lives in the bottom drawer of your nightstand. With the new and improved technology of dental implants, Dr. Tidwell can place two “receiver balls” (on implants) into your jaw, which will secure the lower denture in place – snug as a bug in a rug. A typical lower denture rests on the gums, with nothing to secure it in place except gravity. This is why lower dentures always shift inside your mouth, making them uncomfortable and causing sores. Lower dentures supported by implants, on the other hand, are locked into position with a “ positioning ball” and “receiver cup” (see photo). This procedure gives the lower denture incredible stability, eliminating the “floating boat” syndrome of typical lower dentures. You may be surprised to learn that this procedure takes a very short amount of time, is often completely painless, and post-operative recovery time is extremely fast. We know you have questions, and that’s why Dr. Tidwell offers free consultations on implants and dentures. (He always has and he always will.) Included with your complimentary session with Dr. Tidwell is a state-of-the-art, 3-dimensional “cone beam” x-ray for the best possible diagnostics. And you have absolutely no obligation to move forward with the procedure. Removing teeth is often an integral part of receiving dentures. It is important to note that Dr. Tidwell uses advanced tools and techniques to perform tooth extractions. This new process eliminates the need to pull your teeth/tooth with dental pliers. Rather, each tooth is gently pried loose with a method that is easier, faster and smoother, and with a quicker recovery period. Our promise to you: The traumatic stories of old that you may have heard from your parents or grandparents about tooth extraction are a thing of the past and have no place in the work of Tidwell Dental. 2. The Positioning Balls: Two gold “positioning” balls are placed on top of the implants. Then an impression is taken of your lower gums, including the implants, for fitting to a denture. 3. The Receiver Caps: Two small rubber “caps” embedded in your lower denture connects the “ball” on your implants to the denture. This mechanism self-aligns, allowing you to “seat” your lower denture with ease. 4. The Implant-Supported Denture: The set of teeth click into place on your lower jaw, with the receiver ball secured into the cap. The dentures then become the workhorses of your mouth, doing all the chewing (and smiling). Also known as “overdentures,” implant-supported lower dentures are the gold standard in treatment options for people with missing teeth. They replace your teeth with strong, stable dentures, which you can remove at will, but fit snugly into place until you want to take them out for cleaning or maintenance. 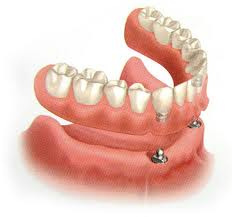 Dentures supported in this way give you the stability that only implants can offer with the economical cost of dentures. It’s very important to note that, in addition to the benefits of function and aesthetics, dental implants also act as a tooth root. This is critical to your appearance because without teeth – roots and all – your jaw will inevitably experience bone loss. Bone loss, in turn, leads to a “caved-in” or receding profile (see photo). Dr. Tidwell has earned the coveted status of Diplomate in the International Congress of Oral Implantologists (ICOI). His lead surgical staff assisting with implant procedures has also received the highest possible accreditation for surgical assistance from the ICOI. Together, they are among the finest dental implantology teams in the business, bar none. So great is their learning, Dr. Tidwell and his staff have been conducting monthly Implant Study Clubs (for over a decade) for interested colleagues. 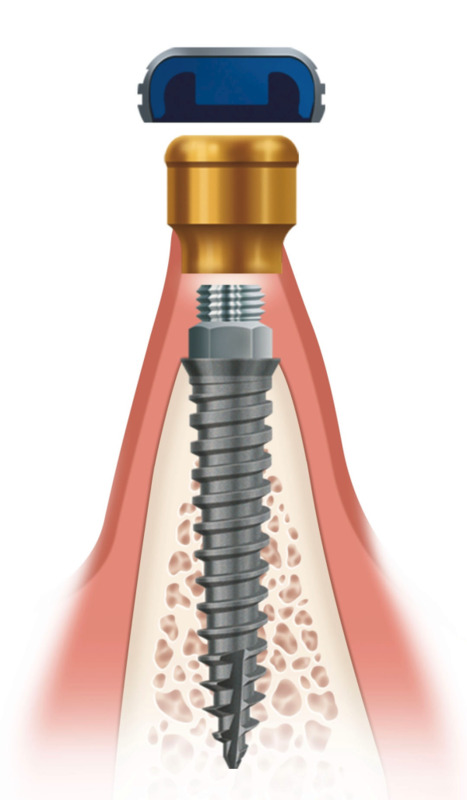 What all this means to you is that you will receive the highest possible standard of expertise and care when receiving your implant treatment at Tidwell Dental. Schedule your complimentary consultation with Dr. Tidwell here (with no obligation for services). Or call or text us at 503-359-5481. P.S. Shhh … here's a special secret: With implant-supported dentures, you’ll be a better kisser. True.